Treat someone special to a thoughtfully chosen collection of gourmet cheeses. 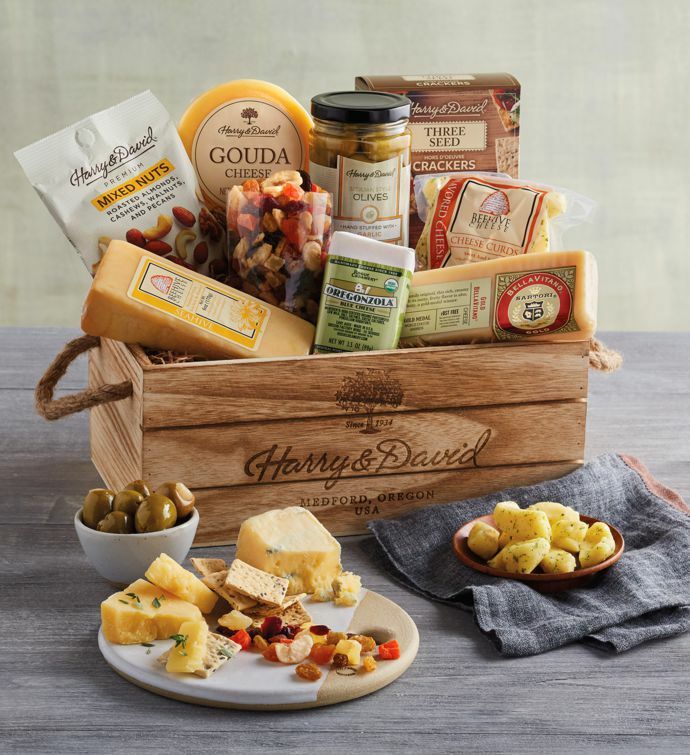 Included in this assortment are nutty, Italian-inspired Sartori® BellaVitano® Gold Cheese; tangy and savory Rogue Creamery® Oregonzola Blue Cheese; Beehive Jivin' Chive Cheese Curds featuring dried chives; and even more exceptional selections. Five premium cheeses are accompanied by dried fruit, mixed nuts, three-seed crackers, and garlic olives. It all arrives in a branded wooden gift crate with rope handles.